Regardless if you or a loved one has been diagnosed with mesothelioma, you want more time. But the diagnosis of an aggressive type of cancer like mesothelioma hangs over your head every day and you worry how tomorrow will feel. And in a sea of complicated medical terms and unpronounceable drugs, at the end of the day you want to know about all your mesothelioma treatment options. What really works and what doesn’t? The standard of care is a treatment process that should be followed for a certain type of patient, illness, or clinical circumstance. The current standard of care for mesothelioma treatment was so determined by a very lengthy process. From drug development to measuring clinical results, it was the treatment proven to work better than anything else. But each stage of mesothelioma has its own standard of care. For example: someone who was newly diagnosed with stage I will get the mesothelioma treatment standard of care for stage I, while someone that has stage III will get the standard of care for stage III. These “standards” are defined by experts in the field and then published in various guidelines such as the one from the National Comprehensive Cancer Network (NCCN). Until a cure is found, the National Cancer Institute, pharmaceutical companies, individual doctors and scientists, are constantly looking for ways to challenge the current standards of care. In other words, they are looking to discover mesothelioma treatments that are better than what you have access to today. The process of challenging the current standard of care in mesothelioma (and all cancers) boils down to answering a key question: “Is this new treatment better than what we already have”? In order to answer this crucial question, the new mesothelioma treatment needs to be put to the test, which is done in different steps or phases. The 1st phase, which can last years, is a series of rigorous laboratory or non-human testing. Once the new drug or treatment has been proved safe and effective in the lab, then it goes for human testing in a process called a clinical trial. A clinical trial is the process of testing if a new treatment option really works. Although doctors and researchers are usually very optimistic about the potential results in a clinical trial, the process proceeds very cautiously and only a select number of patients are allowed to participate (usually those patients who received the standard of care but got poor results). Given that mesothelioma typically has a poor prognosis, clinical trials are critical for identifying new treatments that could help patients. You or a loved one may be able to receive a new drug or mesothelioma treatment by enrolling in a clinical trial. Although there are very specific pre-requisites for you to enroll, if you do, a clinical trial can offer you access to treatments that are not otherwise available. Immunotherapy for example, has gotten a lot of attention recently as this group of drugs is meant to empower your immune system to battle disease. If these drugs are proven to be effective, it will offer patients a whole new approach to treating mesothelioma; and hopefully, diminish or eliminate the need for chemotherapy, increase survival, quality of life or even offer a possibility of a cure. For example, if you’ve been watching the news lately, you may have heard that President Jimmy Carter has recently declared that he is “cancer free”. President Carter, who was diagnosed with Melanoma, was treated with an immunotherapy drug called KEYTRUDA® (pembrolizumab). Although this immunotherapy has become the standard of care for the treatment of other cancers, in mesothelioma, it is still only available through clinical trials—like the one currently under way by a group led by Dr. Hedy Kindler at the University of Chicago. 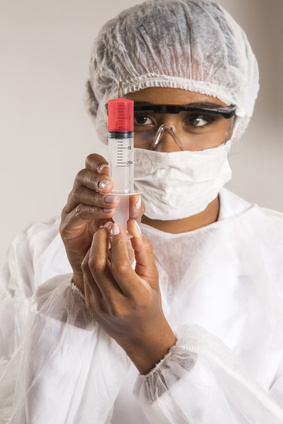 Although the idea of looking into a clinical trial may start to sound reasonable, you may be scared or uneasy with the thought of being used as a human test subject. Although a clinical trial is considered clinical research, rest assured that every possible measure is put in place to ensure your safety by the expert medical professionals and leading institutions involved. Seeking information about your mesothelioma treatment is not the same as making a decision. Unless a treatment decision has to be made immediately, there is no risk in seeking and gathering reliable information, discussing it with your doctor and family members and making a decision later. If you do decide on a clinical trial and later change your mind, you can leave any time you want. Until a cure for mesothelioma is discovered, clinical trials should always be part of the decision-making process for any mesothelioma patient.